Your church has decided it’s ready to renovate or build a new facility. Many church bylaws and rules of governance dictate a due diligence process that includes soliciting multiple firms with a Request for Qualifications (RFQ) or Request for Proposal (RFP) as a primary means for comparing building partners. But this method falls woefully short in helping you evaluate who to hire for your church building project. In this free downloadable resource, we'll help you discover A Better Way to select the best building partner for your church project. We'll share answers to your questions so you can dig deeper—beyond cost per square foot and other typical RFQ/RFP questions—to ensure you choose a firm that shares your desire to create space for ministry impact. building partner that typical RFQ/RFPs fail to uncover. between the design-build team and church leadership. 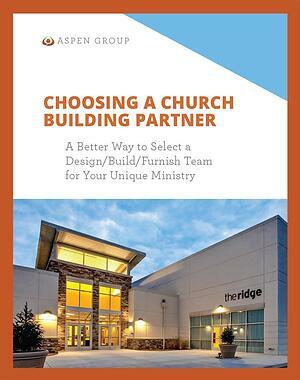 comes to selecting building project partners for your church.